Many public companies have yet to make enough money to expand without borrowing money or selling shares. Making enough money for business expansion isn't easy for many public renewable-energy companies. That's why so many are selling shares to or borrowing money from institutional investors. Evergreen Solar (NSDQ: ESLR), for example, said it plans to raise $325 million by selling senior convertible notes. The solar-panel maker, based in Marlboro, Mass., would use the proceeds to complete a manufacturing plant in Devens, Mass., and to start construction of a plant to produce heat-resistant strings for making wafers that require less silicon than conventional ones. Medis Technologies (NSDQ: MDTL), on the other hand, has raised $29 million by selling shares to institutional investors. Medis, based in New York City, develops portable fuel cells and other products through its subsidiaries, More Energy and Cell Kinetics. The process of getting a technology from the lab to the marketplace is expensive, especially in young technology sectors such as fuel cells. Many ethanol companies also are having trouble getting enough money or regulatory approval to build plants (see Mascoma to Play Smaller Role in Pilot Project). Juhl Energy and public company DanMar & Associates have merged to become Juhl Wind, which now trades over the counter under the ticker symbol "JUHL." Juhl Wind also raised $5.16 million by selling shares. The company has developed 11 wind farms. China Sunergy (NSDQ: CSUN) said it plans to raise $45 million by selling convertible senior notes. Investors will have the option to buy an additional $5 million. China Sunergy makes solar cells and plans to use the money to increase production and research and development. Thermal Energy International (TSX-V: TMG) raised $15 million by selling shares to private investors. The Canadian company, based in Ottawa, develops greenhouse gas-reduction technologies. The money will enable the company to complete its purchase of Gardner Energy Management in the United Kingdom. SunRun in San Francisco raised $12 million to market a financing model that helps homeowners install solar-power systems without having to pay for the expensive equipment and subsequent maintenance cost. Foundation Capital led the funding for the company, which got its start only last September. In exchange for SunRun's offer to pay, install and operate solar systems, homeowners would agree to sell electricity back to SunRun. 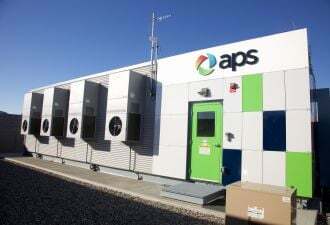 Aspen Aerogels, which develops insulation using nanomaterials, raised $37 million in a fourth-round funding. The company, based in Northborough, Mass., develops silica aerogels that serve as heat, fire or sound barriers for products that include blankets and packages. It targets industrial and consumer market, including oil and gas companies that need to protect its pipes from extreme weather. Arcapita Ventures led the new funding, which also came from Lehman Brothers Venture Partners, Reservoir Capital Group and RockPort Capital Partners. The Green Way raised between $15 and $20 million from Shaked Global Group, reported the Globes in Israel. The Green Way provides environmental consulting in areas such as landscaping, erosion prevention and wastewater treatment. GDCM, a data center-management company in London, raised "multimillion dollars" from Balderton Capital. The company plans to use the money to grow its international business. Helix Micro raised $12.3 million to develop battery-cell and power-management technology, reported PE Week. The Milpitas, Calif., company plans to raise an additional $13.45 million to complete the second round of funding. Investors include Prudent Venture Investment, Amperex Technology and TechGains Funds. Lehigh Technologies, raised $34.5 million in venture capital for expanding its rubber recycling capacity, reported Private Equity Hub. Kleiner Perkins Caufield & Byers, Index Ventures, NGP Energy Technology Partners and Florida Gulfshore Capital led the funding for the company in Naples, Fla.
Tereos, a French farming cooperative, got money from two European banks to build a large wheat-based ethanol plant in Lillebonne in Normandy. The plant would produce 300 million liters of ethanol per year and cost about $247 million to build. The financing will come from Coöperatieve Centrale Raiffeisen-Boerenleenbank B.A. and the Caisse Régionale de Crédit Agricole Mutuel du Nord-Est. The Virgin Green Fund, set up by Virgin Group in the United Kingdom, raised $199 million from investors that included CalPERS, the large California pension fund, reported Financial Times. Virgin's Sir Richard Branson set up the fund last year after promising to invest $3 billion in renewable-energy projects over 10 years. The fund has invested in seven companies so far. Investment firm zouk raised €52M million ($82.1 million) for its investment fund, zouk Solar opportunties (zSOL), which will look for deals in Europe, the Middle East and Africa. London-based zouk plans to invest in solar-electric plants using proven technologies and building about 40 megawatts in capacity over the next 12 months.